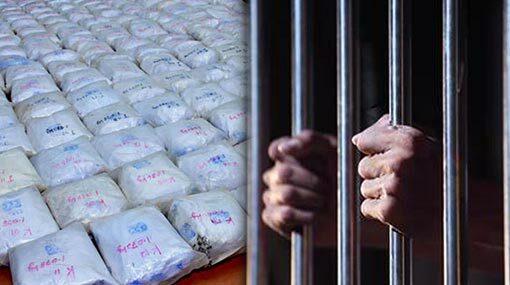 The Colombo Magistrate’s Court has ordered to remand four more suspects, who were arrested in connection with the 231 kg haul of heroin discovered in Beruwala. The suspects were presented before the Colombo Chief Magistrate Lanka Jayaratne today (18). Accordingly, the suspects are to be remanded until the 25th of January. The PNB had arrested two persons in Beruwala-Balapitiya beach on the 05th of December with 231 kg of heroin, which is considered the second largest haul of heroin. PNB had uncovered 231 kg 54 g of heroin, parcelled into 214 packets and hidden inside large sugar bags. The owner of the boat was subsequently arrested on December 07 in Yatiyanthota along with Rs 1.5 million in cash. Accordingly, the owner of the trawler and four other suspects in connection with the heroin haul have already been remanded by the Colombo Magistrate’s Court.